Theodore Rex is the story--never fully told before--of Theodore Roosevelt's two world-changing terms as President of the United States. A hundred years before the catastrophe of September 11, 2001, "TR" succeeded to power in the aftermath of an act of terrorism. Youngest of all our chief executives, he rallied a stricken nation with his superhuman energy, charm, and political skills. He proceeded to combat the problems of race and labor relations and trust control while making the Panama Canal possible and winning the Nobel Peace Prize. But his most historic achievement remains his creation of a national conservation policy, and his monument millions of acres of protected parks and forest. Theodore Rex ends with TR leaving office, still only fifty years old, his future reputation secure as one of our greatest presidents. 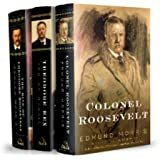 Describes Theodore Roosevelt's presidency as he faced the challenges of a new century in which the United States would become a world power, and discusses his accomplishments and failures, the enemies he made, and his family life. 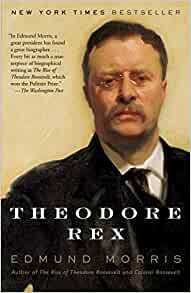 Theodore Rex by Edmund Morris is a very good book detailing the presidency of Theodore Roosevelt. It is a well-written, informative and detailed work outlining the effect that Roosevelt had upon both the office of the President and the United States. Theodore Roosevelt was a politican of firm views. A supporter of the market system, who nevertheless saw its flaws and inequities, he worked to reform a system which seemed stacked in the favour of cartels and monopolies. A Republican who was not afraid to challenge his own party on a variety of issues - although this ultimately caused problems and storred up resentments for the future - and was willing to use his undoubted popularity to appeal to the wider electorate in order to bring about change. A conservationist and a global statesman whose actions and measures preserved millions of acres of wilderness, but who was also one of the driving forces behind that great monument to industrial progress, the Panama Canal. Overall, an excellent book examining the extraordinary presidency of a remarkable man. Edmund Morris writes an excellent book on Theodore Roosevelt's presidency. He comes across as probably the best U.S. President.being probably more Democrat than Republican in his ideas and used Congress to get those ideas passed as well as using executive powers to by-pass Congress when necessary. He was not anti-business, just against businesses using their power unfairly, and he was not pro-labour per se, just wanted labour to be treated fairly. He set the U.S.A. on course to become the world power that it now is. A book is well worth reading, giving and insight to Roosevelt's opinion of Germany and Japan that were becoming aggressive and an interesting episode is the tactics used to put a stop to illegal Japanese immigration. The definitive biography of Theodore Roosevelt. Lyrical, detailed, engaging. But also insightful and accurate. Well written. Charts TDR's presidential years. Detailed, yet compelling read, look at President Roosevelt, the highs and the lows. 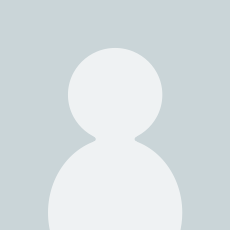 Yet I doubt we will see the like of him again. Excellent history and essential reading. It says something about Theodore Roosevelt that this second volume, covering his White House years, is possibly the least interesting of the three. That a life could be more exciting and interesting in his years before and after the Presidency is something that could probably only be said about one President, and that's Theodore Roosevelt. That said, this volume really serves to highlight what a remarkable politician TR was. It's almost a shame that he was President in perhaps the one decade where little of world import happened. Although perhaps he was the reason so little happened! One can only wonder 'what if' someone like TR has been in the White House during WW1. Would America have taken so long to enter? Would he have stood Congress' refusal to ratify the League of Nations? Would it even have got to that point? For a man so famously aggressive and bellicose, it is telling that his most famous phrase is 'speak softly and carry a big stick'. TR understood perhaps better than anyone that an aggressive attitude and a powerful army often serves to remove the need to use them. His Presidency was often marked with battles with Congress, but it's interesting just how often TR came out on top. He was a master at manipulating the press, at twisting issues to serve his needs, at balancing one side against the other. He was also one of the few politicians, perhaps of any era, who really seemed to listen to the public mood. He began his Presidency promising to continue the conservative policies of McKinley and ended up very nearly a Progressive. For those of us who see what the Republican Party has become, it's fascinating to see TR backing so many things we almost think of as anathema to modern Republicans - the importance of the environment and conservation, the danger of massive corporations, the need for income and death taxes, the support of labour over corporate interests. Again, this is a masterful book. There are few public figures of whom I would be prepared to read such a massive three-volume biography, and I can think of few other biographers who could make such a read not just interesting, but entertaining and thoroughly enjoyable. Roll on, volume three!